Metabolic adaptations to exercise in a cold environment include the liberation of heat by vigorous physical activity, shivering and various forms of nonshivering thermogenesis. During a single exposure to cold the main metabolic fuel is glycogen; however, repeated bouts of exercise in the cold also result in an increase in fat metabolism. 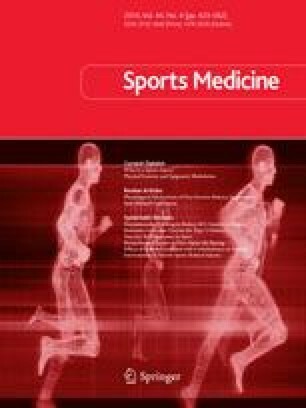 Potential contributors to fat loss induced by exercise in the cold include: the energy cost of synthesising lean tissue; cold-induced excretion of ketones; stimulation of resting metabolism; and the high energy cost of movement in a cold environment (walking over snow, the weight of heavy boots, hobbling by winter clothing, and decreased mechanical efficiency of dehydrated muscles). Biochemical explanations of fat mobilisation include increased secretion of catecholamines, increased sensitivity of peripheral catecholamine receptors and a decrease in circulating insulin levels. Such fat loss may be helpful in treating moderate obesity, although the response seems less well developed in women than in men. Metabolic changes must be taken into consideration in preparing winter athletes for competition. Glycogen depletion has a negative effect on the performance of endurance competitors, but this can be countered by a combination of diet, training and cold acclimation.